July | 2014 | Mabuhay DIY! Last week, I finally used my neon pink Speedball linocut ink for a night of rubbercut printing. I used my rubbercuts from my printmaking class a year ago, one featuring a mermaid and a merbird, and another with a cat. It was a weekday and I usually try to sleep early on a weekday so I won’t be a sluggish zombie at work the next day, but crafting all night is worth it! I love how they say that when you do something you really love, you feel energized and filled with good vibes, despite the physical challenge (in this case, puyat), hehe. A few months ago, we visited one of our favorite resorts in Batangas: La Luz! I have been here several times already, but this is the first time that I got to snorkel without my family and friends with me. They were resting, and the sun was up and the sea looked so inviting, so I went on my own. Confession: I’m not really that good of a swimmer, and some fishes scare me but I decided that this was the time I was going to face my fears. After all, I was wearing a life jacket, and other people were also swimming in the area. This was also the time that I was participating in the #30bravedays challenge, so I was feeling extra brave. And competitive. So I did what I was afraid of doing. And I was able to take photos of some pretty cool (not scary-looking) fishes. I swam up to the raft in the middle of the sea and got to see a blowfish–which was exciting, but also very surprising (and scary) so I was panic-swimming for a bit. I think I swallowed some seawater in shock. The day ended with a lovely meal at Casa Rap, but that’s another story. Happy Sunday! Last Saturday, Cachi and I went to Ayala Museum’s Inspire Everyday event. I subscribed to their newsletter eons ago so I learned about this from that and I was really looking forward to it. Good thing we arrived early! It was just around 10am, but the place was already starting to fill up. I was fascinated by the short film about gold, and amazed by how rich we must have been before the Spaniards colonized our country. The EDSA docu left me teary-eyed (hello pms!) and I watched it twice because it made my heart swell. Today, we released the 6th issue of Katha, with the theme “local colors”. From north to south, we explored our beloved homeland to feature homegrown talent. It’s dedicated to all the creative Pinoys who never fail to make us thankful and proud to be a Filipino. Voting ends on August 3rd, 11:59pm. Please do tell your friends about it. Katha Magazine is one of the finalists in Globe’s Tatt Awards! The happiest of news! 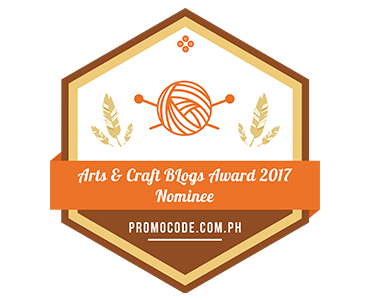 Our passion project, the free online magazine for Filipino creatives, Katha magazine (http://facebook.com/kathamagazineph) is one of the finalists for “The One” in this year’s Tatt Awards! This is my mom’s birthday month so we celebrated several times in several places. The most unforgettable part would have to be our short but super relaxing vacay at Balay Indang. Hello friends! As you may know, I’m one of the founders of the free online magazine for Filipino creatives called Katha magazine (Here’s our Facebook page: http://facebook.com/kathamagazineph). We started this magazine because we wanted to inspire, empower, and unite the local creative community. Inside our pages, you’d find collaborations and interviews with artists and crafters, diy tutorials and recipes, features about designing using upcycled or locally-sourced materials, and a lot of other interesting things all in favor of the local handmade movement. We truly enjoy discovering new talent and getting to learn more about the artistry and creativity of our fellow Filipinos. We hope you enjoyed the creative journey as well when you read our magazine. We’re celebrating our first birthday soon, and we’re planning something extra-special for our readers and collaborators–but we need your help. If you like Katha Magazine and believe in our cause, please nominate us in this year’s Tatt awards. 2. Under “Category”, please select “The One”.